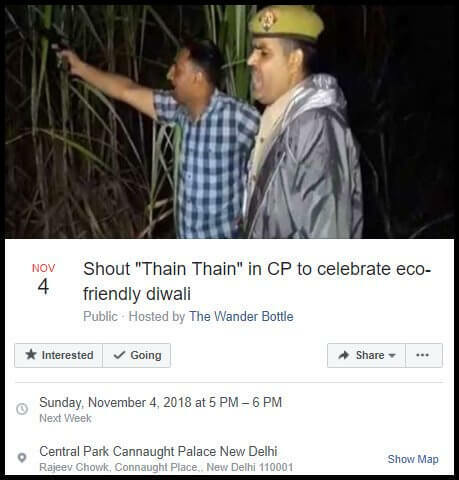 Shout Thain-Thain To Celebrate An Eco-friendly Diwali - Bold Outline : India's leading Online Lifestyle, Fashion & Travel Magazine. If anything’s trending on social media, millennials are definitely at the top of their game to stay updated about it, while some move ahead to create something out of it. If you are an active netizen then you must remember the small video clip about an amusing scene where a sub-inspector, Manoj Kumar, shouts ‘thain thain’ to scare criminals during an encounter in Sambhal, UP, after the revolver of his team-mate got jammed. The video became a sensation overnight and inspired many memes that followed. 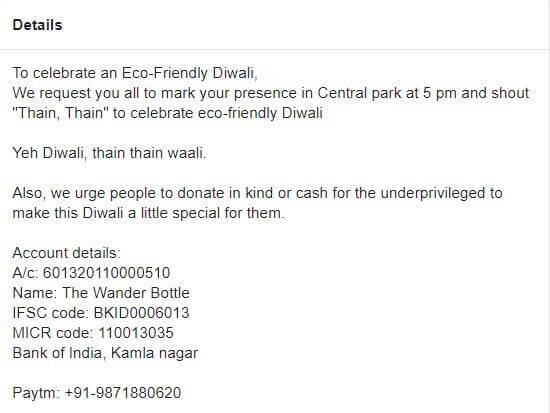 Taking a cue from these cops a Facebook page called ‘The Wander Bottle’ came forward with an initiative and have organized an event and sent out invites to the Delhiites to shout thain-thain instead of bursting crackers. Well, this isn’t a joke or a prank. Scheduled to take place in CP’s Central Park on November 4, netizens have shown a lot of interest in the event. The admin of the page, 24-year-old Satyam Aggrawal, is a freelance cinematographer and a travel blogger hailing from Delhi who has been promoting Green Diwali since past two years via his FB page, but he was never taken seriously and neither did his ideas went mainstream. But we promise you Satyam with ‘Thain-Thain’ your idea of safe and healthy Diwali is definitely going to get some rage. 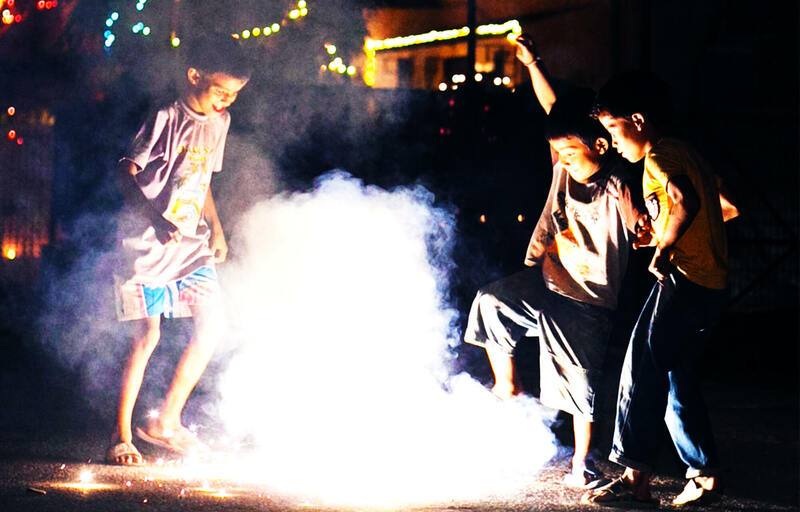 But wait, it isn’t just limited to celebrating a pollution-free Diwali. 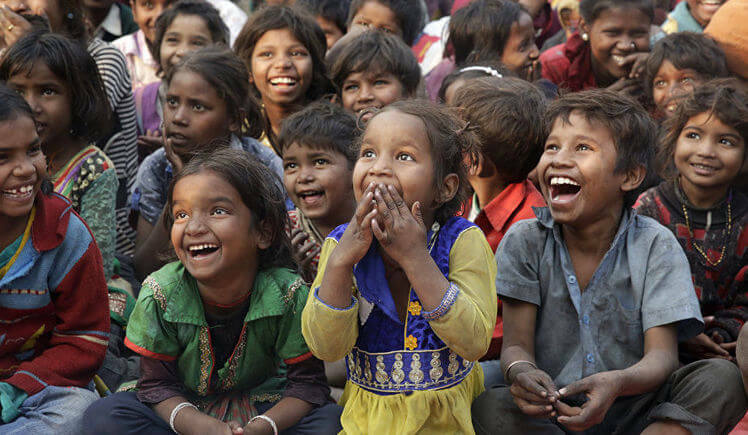 The event hosts are also crowd-funding to help the underprivileged kids living in the capital city. Now that is some noble cause with a lot of fun. The city’s air is hysterically out of hand; hope this initiative will help aid the atmosphere to some extent. And we wish this fun-even be organized in each and every city for good. 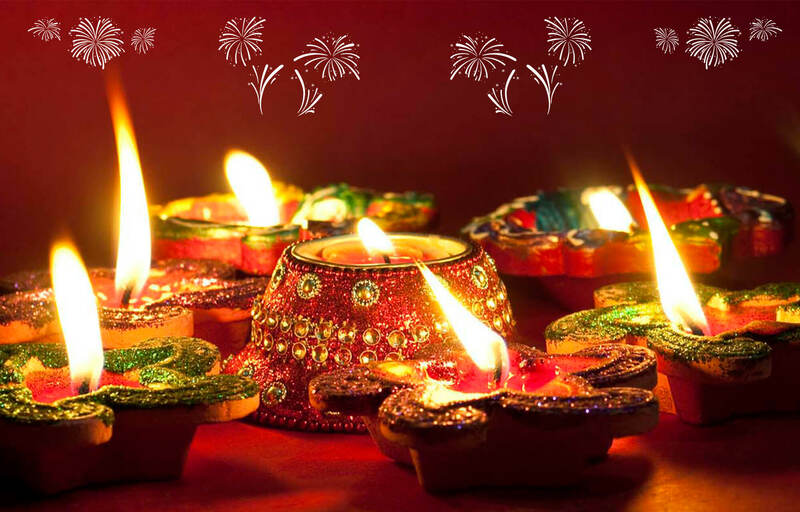 Meanwhile, the Supreme Court on Tuesday decided to restrict the bursting of crackers on Diwali evening to between 8-10pm. 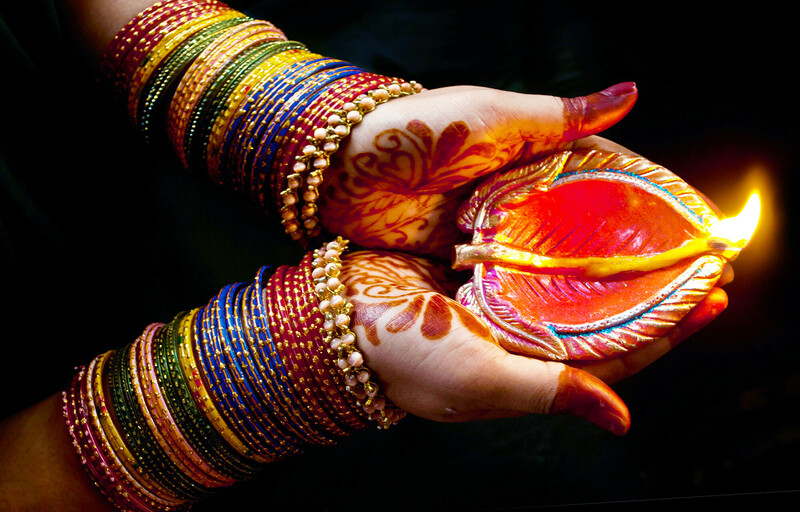 The court has clarified that on festivals, including Diwali, the bursting of firecrackers will be allowed only between 8 pm and 10 pm. On Christmas and New Year’s Eve, the bench said, crackers can be burst between 11:45 pm and 12:45 am.